If you've been part of the working world for more than a few years, you've probably had one: The demanding, the irrational, the out-of-touch. The #boss that manages to bring down the morale of an entire office with one email. One person, especially one in charge, can take an entire office down a toxic road. 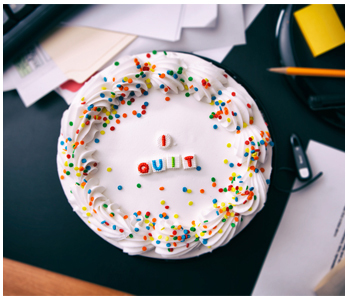 He or she may be so out-of-touch that they don't even realize people are quitting because of them. People quit bosses, not companies. The good news: It's not the end of the world (or the end of your job). Even the worst boss can be managed. "Managing up" is a valuable skill and can turn a job you dread into one you love. Before you dust off your #resume and head for the hills, take some time to put yourself in your boss's shoes. We rounded up a few articles that can help when you're at the end of your rope. Bless her heart, (you like to think) your #manager tries. She (probably?) has so much on her plate that it's only natural for the whole "manage my employees" thing to slip between the cracks in her Outlook calendar. Surely, you must have simply missed those meeting invites to discuss her specific expectations of you and your priorities. There's definitely a to-do somewhere on her whiteboard to discuss your role within the company and hash out your ideas for its strategy. Or, you know, you're supposed to just take an educated guess at the best ways to do your job and contribute to the company. You're supposed to work in a vacuum, with only the office ficus tree to consult with and that triple espresso to motivate you. That's no way to work. Chalk up your hands, replace that espresso with electrolytes and prepare for some heavy lifting. Here's how to help your boss carry her weight, or how to "manage up. If this is what you’re talking about then you’re right, they are incompetent. It happens. In other words, the boss doesn’t know squat about being a manager and probably knows little to nothing about the area of work you do. No detail was too minor for one of my bosses, a real stickler for the small things. If I was sending a fax (yes…that was our speedy mode of communication in the ‘90s), my boss would insist that I type the cover sheet in a particular font size and style, which seemed like a monumental waste of time (but made the fax instantly recognizable as coming from our firm). If I was putting together a luncheon meeting, she wanted a wide variety of details on the restaurant in a written memo even if she’d been there before – from the table layouts to the closest parking lots and what she’d ordered in the past. I frequently had to call a restaurant multiple times to get the information she wanted, but all of that effort always made the actual meeting go more smoothly.